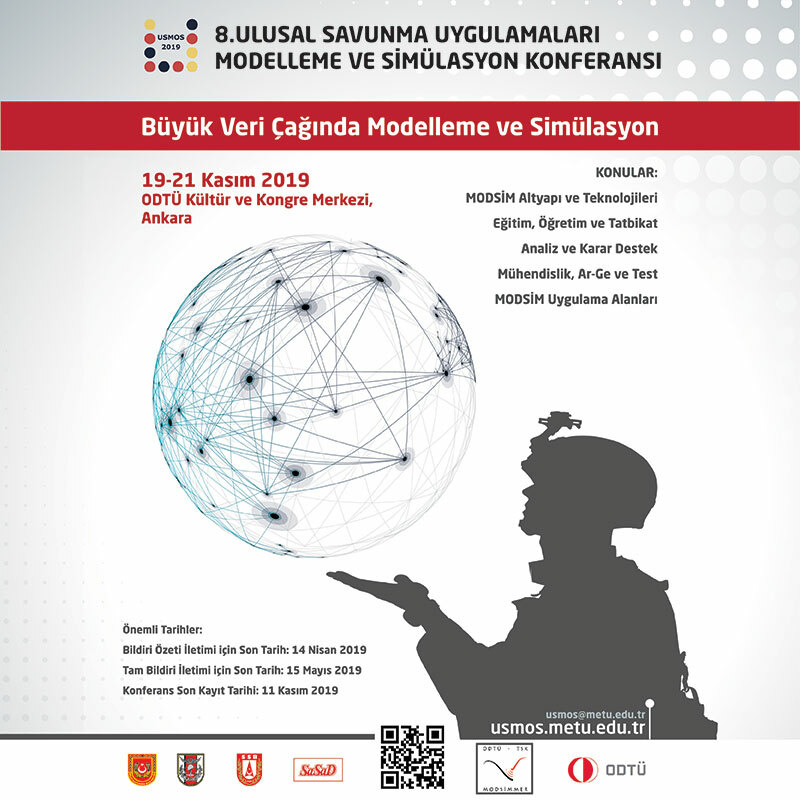 ODTU Teknokent Defense Industry Cluster’s (TSSK) 4th Project Market took place under the auspices of the Undersecretariat for Defense Industries and by the Middle East Technical University (METU), ODTU Teknokent, Ankara Chamber of Industry (ASO) and the Defense Industry Manufacturers’ Association (SaSaD) at the beginning of 2017 at the ODTU Congress Hall. The products developed by the companies operating under the roof of TSSK were showcased at the 4th Project Market. At the event in which large and small scale defense companies gathered, new business opportunities were discussed in detail through bilateral negotiations. Dr. Tüfekçi underlined the necessity of supporting the design and production process of systems with the high added value provided by required testing and infrastructure. 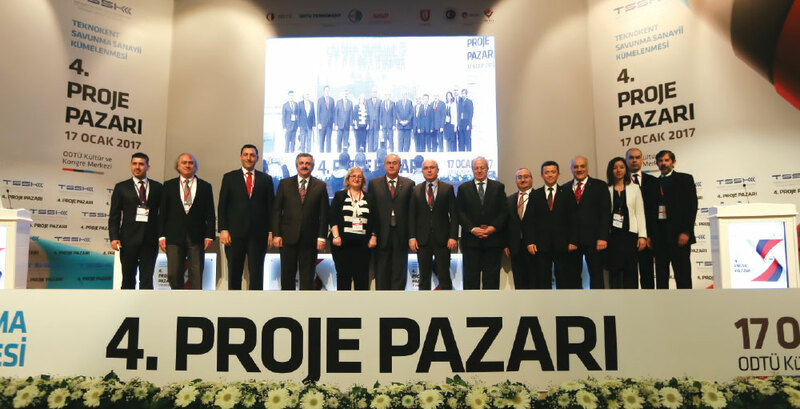 “To this end, we decided on the establishment of the TrTest or Türktest Corporation which will, in particular, establish and operate the system platform level identification and assessment infrastructures.” said Dr. Tüfekçi. 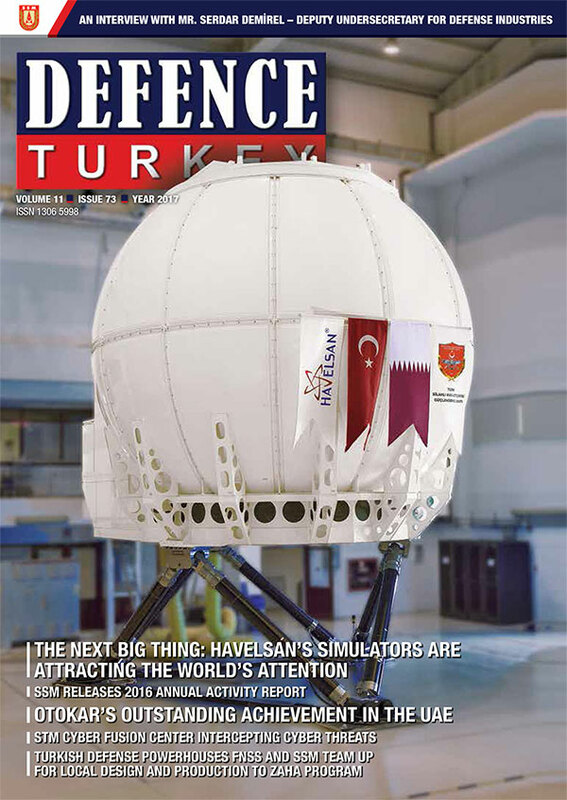 Noting that they made severe changes in the Defense Industry Researcher Training (SAYP) program in 2016, Dr. Celal Sami Tüfekçi said, “The personnel, who would be conducting the research as part of the initial implementations of the SAYP program, were obliged to be both the staff of a defense industry company and registered in the graduate or post- graduate programs of the university. In 2016, we made the process more dynamic by abolishing the obligation of being a staff member of a company in order to benefit from SAYP. “We implemented incentives and support for the sector which will provide support and relief to companies as they endeavor to increase industrial participation in projects. We used to grant credits to our companies within the scope of supporting qualified products and infrastructure through our Defense Industry Support fund. We decreased the interest rate of this credit on a USD basis from 2.1% to 1%.” said Dr. Tüfekçi. Following the speeches, an agreement was signed between STM and TSSK for STM academy to provide training for ODTU Teknokent companies. A cooperation protocol was signed between TSSK and the Aerospace Cluster Association, Ankara Space and the Aviation Specialized Organized Industrial Zone and SAHA Istanbul. Following the opening speeches, a discussion panel was held regarding the procurement selection, procurement procedures and expectations from the suppliers, moderated by the Department Head of the Industrialization Department of the Undersecretariat for Defense Industries, Mr. Bilal Aktaş. As the initial speaker of the panel, Aselsan Procurement Manager Mr. Ali Rıza Kılıç stated that Aselsan achieved cooperation with 37 universities reaching $ 137.5 million, based on 2015 figures and added that, in 2016 considering the production and R&D budget, the number of companies that Aselsan procured from was 707, of which 597 of them were SMEs. Mr. Kılıç also mentioned that as of 2016, Aselsan had an open order of 3.3 billion TL (est. $ 900 million) to these companies and that they made a payment of 900 million TL (est. $ 250 million) to domestic companies again in 2016. Mr. Kılıç remarked that where the orders made to teknopark companies remained at the level of $ 5-6 million in 2015, as of 2016 this figure increased to $ 24 million and added that this increase will be continuing in 2017 and 2018 as well. Mr. Kılıç specifically highlighted that the design activities to be outsourced will become an increasing trend as of 2018. On behalf of FNSS, Quality and Business Excellence Manager Mr. İhsan Kahraman made a presentation on the systems, production and their expectations from subcontractors and stated that they plan to focus novel products in 2017. Mr. Kahraman mentioned the difficulties that they were facing in acquiring the required level of quality due to the rare nature of products of the subcontractors and technical systems in the sector. “We are having difficulties due to the scarcity of the subcontractors capable of creating solutions to bring novelty and innovation to products, reverse engineering and design simultaneously. During special processes in the course of certification we confront a problem”, said Mr. Kahraman. Also sharing their expectations from the subcontractors in his presentation, Mr. Kahraman underlined that they will surely be coinciding with the companies that are particularly investing in electronic systems, protection systems, improved power train and C4ISR areas. Otokar Procurement Director Mr. Metin Karadaş made a presentation on Otokar’s procurement revenue distribution and supplier selection process. Mr. Karadaş stated that their export figure of $ 40 million in 2010 increased to $ 150 million in 2015 and 2016, noting the importance of cooperation to be created with the suppliers. Mr. Karadaş stressed that they can collaborate with suppliers active in micromachining, electronic boxes, radars, turrets, camera systems and insulation materials in the defense industry. Procurement and Industrialization Director Mr. İlhami Tanyolu shared that TAI works for over 100 programs with 97 companies in 11 cities. Noting that TAI’s strategic subcontract concept is of great importance to them, he said that they do not pursue tenders in their projects with their strategic partners, they make contracts over a unit price instead. Mr. Tanyolu added that they expect the subcontractors to have an engineering infrastructure, production infrastructure, quality, facility security and to be capable of performing risk management; companies of this caliber meeting the designated criteria are able collaborate with TAI as strategic partners.